The Lodge at Timber Lake Lodge. Beautiful Views! Built more than 20 years ago on a vast knoll, the Timber Lake Lodge Lodge overlooks the picturesque Little Moreau River range and the Little Moreau State Park. 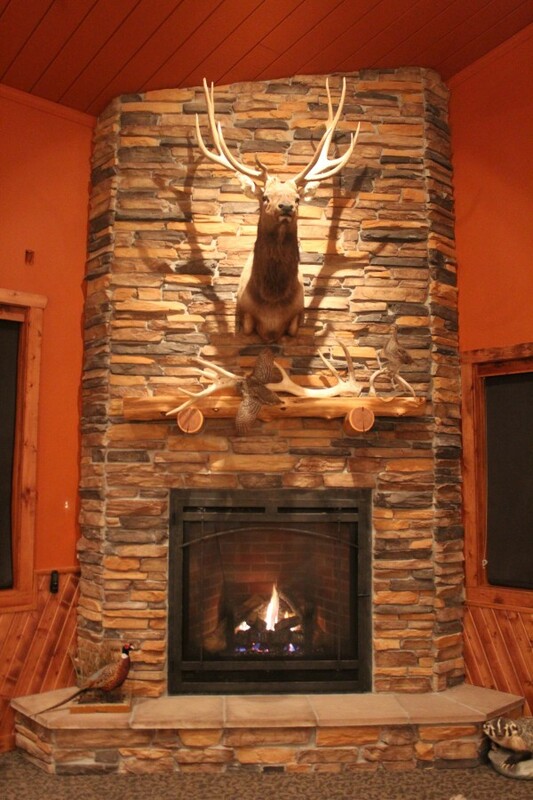 At over 12,000 square feet the lodge invites our guests to come home and relax each night after a day of hunting on the ranch. Find yourself relaxing by the fireplace on one of our leather sofas looking south over the vast ranch. Or perhaps a game of pool is what you have in mind, enjoying a cocktail from the well-stocked bar overlooking the Little Moreau State Park. 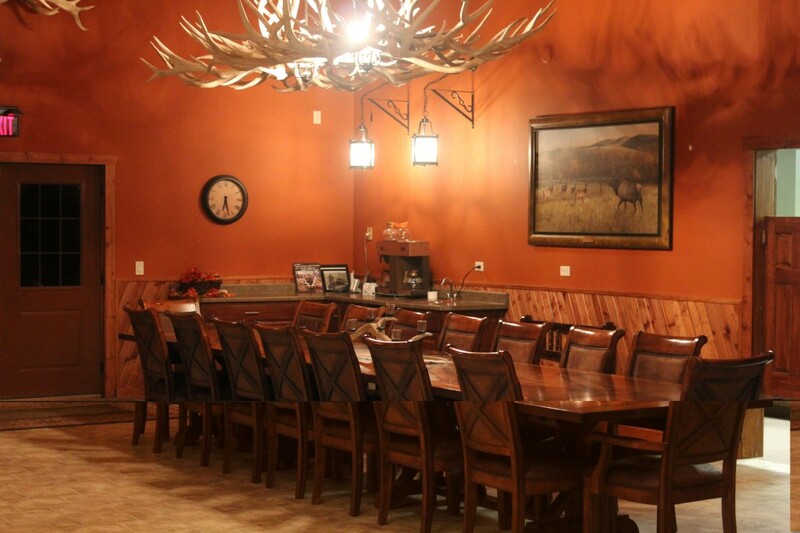 Enjoy home cooked meals each day in the family-style dining room, illuminated overhead by a massive 11-foot elk antler chandelier made from our sheds. You will find yourself gazing into the distance at every turn, taking in all of the world-class views the lodge has to offer. When the night is through, you can retire to your private room to rest for the next day’s adventure.